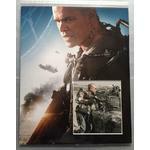 MG Memorabilia presents a 16x12 display with a card signed by Matt Damon. 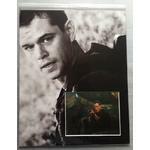 The image is from the Bourne Trilogy . The image which is represented in the scan is the actual image you will recieve and will come complete with an MG Memorabilia COA (Certificate of Authenticity) with all of our contact details on and our lifetime authenticity guarantee.